1. What is your need and what are the trainer’s areas of expertise? Before looking for a dog trainer, spend time thinking about what your needs are. Possible training needs can include obedience training, trick training, behavior modification or rehabilitation, and/or service dog training. 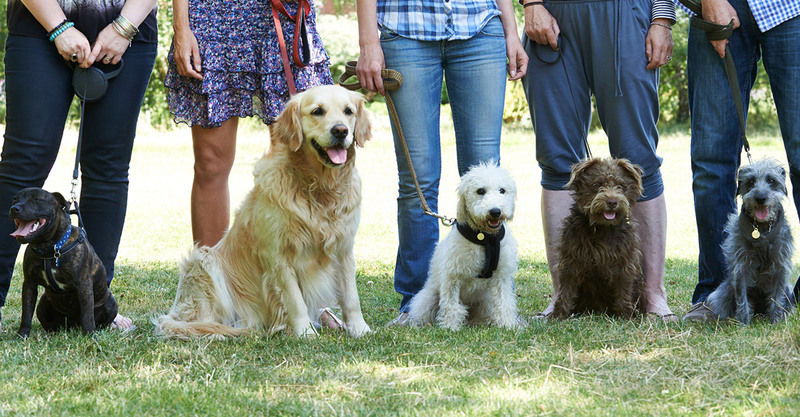 Knowing what type of services you need will help you ask the right questions when interviewing different dog trainers. Ask about their experience in each area, and how long they have been doing that type of training. 2. What is the instructor’s training philosophy? Ask questions so you understand the methods that the trainer uses. Does the trainer utilize a positive only approach or a balanced approach to training? A force-free, positive only approach to training and behavior modification means using positive reinforcement only without consequences for disobedience or unwanted/bad behaviors other than withholding rewards. A balanced approach involves primarily positive reinforcement combined with fair, humane consequences for disobedience of learned commands, and the use of aversive control for unwanted/bad behavior. Consider if the training method the instructor uses lines up with yours. Ask the instructor for examples of consequences they use for bad behavior. Do they allow input from the customer in terms of equipment used, how the dog is rewarded, or if applicable, how the dog is corrected for bad behavior or disobedience? Ask what equipment they use in the training process. 3. Are you included in the training process and if so, how much? Ask the trainer to give examples of how and when you will be involved in the training process. How much did the trainer talk with you and interact with your dog before starting training? Did they LISTEN to you and your concerns and did they make sure you are getting the training you needed to work with your dog both throughout the training process and after they finish working with your dog? Did they teach you as much as they taught your dog? Look at online reviews, check the BBB for information about their business practices, ask your veterinarian for their professional experience with an opinion of the trainer and if possible, talk with other customers. Referrals are a must and very helpful! There is great variety in terms of the qualifications of dog trainers out there and there is no national regulatory agency overseeing dog training in the U.S. Not all are equally qualified! While a trainer doesn’t have to be certified by any agency or school of higher education to be good at or qualified to do what he/she does, it does indicate that the person had to meet some type of minimum standards if they are certified. Often you can research what those standards are so you have some idea of what training the instructor received. How much and what kind of professional experience does the dog trainer have? Doing your homework before choosing a dog trainer is one of the most important things you will do other than the training itself. If your trainer is experienced, effective, and has a philosophy you agree with, you will make much more progress with your dog and be motivated to continue. Call Whole Dog University today at (513) 267-5390 so we can discuss your training needs!